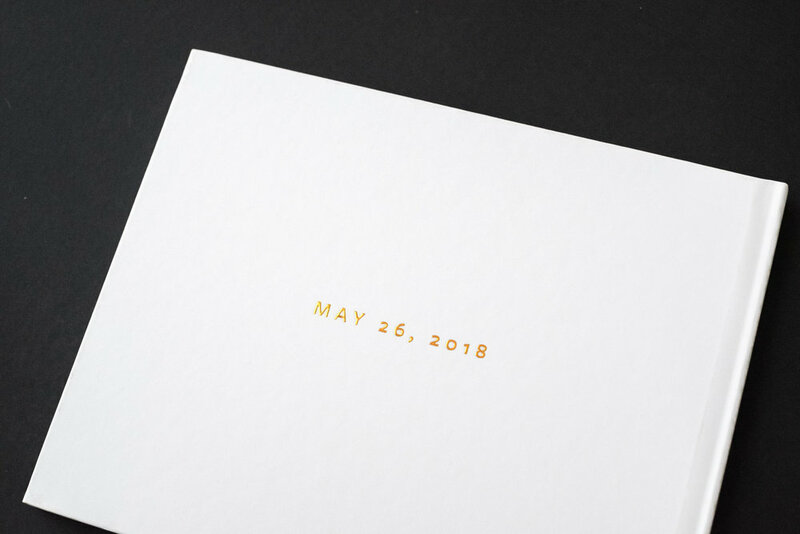 The sample is a white cover with copper foil. 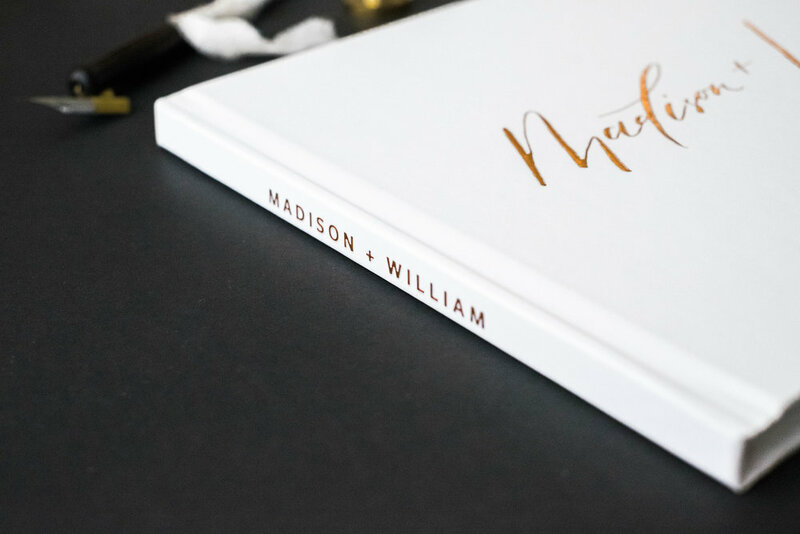 This unique hard cover guest book features our signature modern calligraphy style printed in embossed foil. 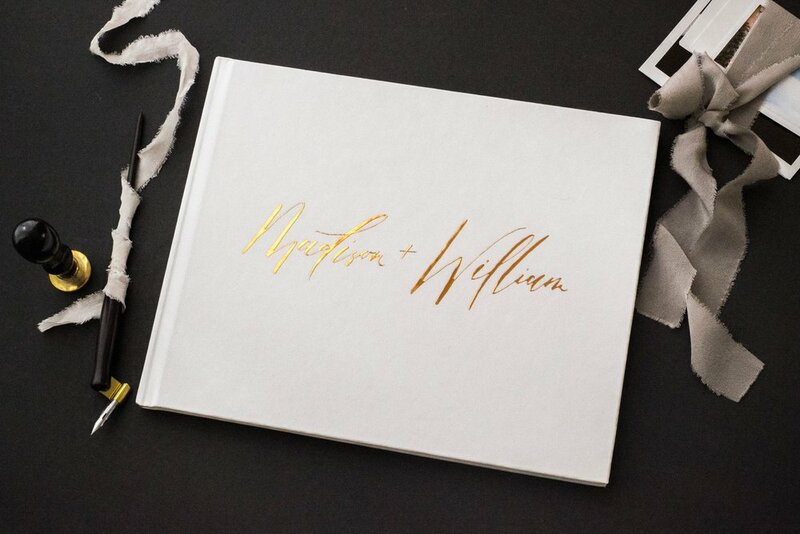 The calligraphy is not a font, and will be handwritten. The spine of the book shows your name, and the back shows the date.